What happens when you give a goofy person no limits to imagination? That person creates art. Well sort of. 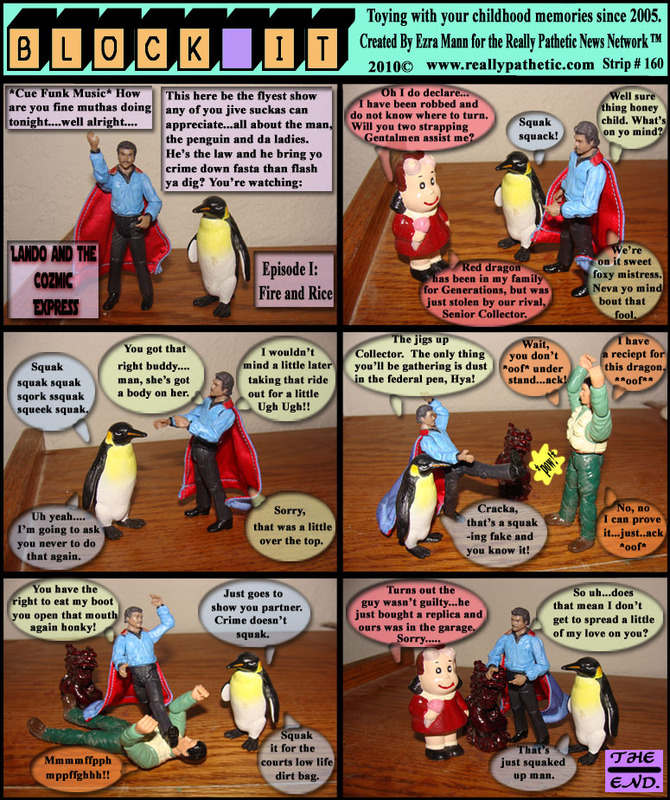 Anyhoo, for the first time since the creation of RPP we have a new cartoon strip. Basically I decided to spend a few bucks at the wal-mart bargain bin and a few weeks later I had my inspiration. Legos....and old toys lying around. From the occasional 10 bucks or so I plan to start a new funny style for RPP with all the usual twists and turns. Other than that, feel free to block it in the mean time.